- Yoon Hyeong Yeol, Sharing Concert '동행' A surprise coffee gift to the audience who accompanied it! 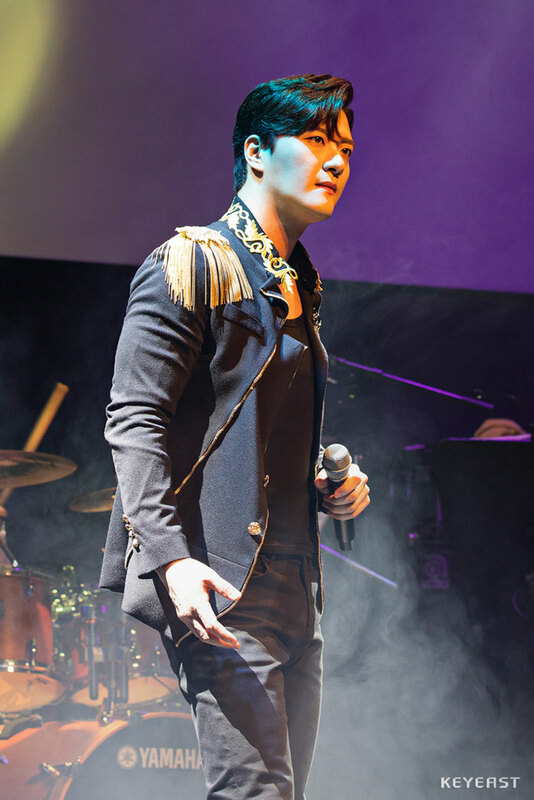 Korean musical actor Yoon Hyeong Yeol successfully concluded a '동행' concert. 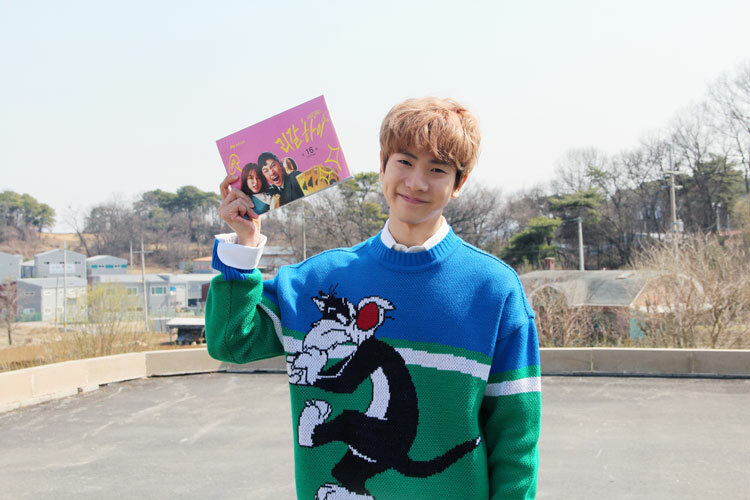 On March 30 and 31, Yoon Hyeong Yeol's '동행' concert was held. 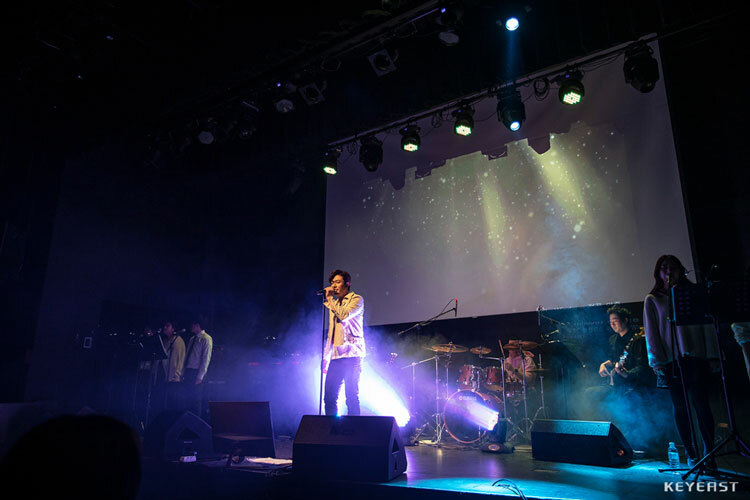 Yoon Hyeong Yeol's concert at the 5th anniversary concert was a talent donation concert that helped the underprivileged with the title of '동행' with the band' s performance at the fan meeting in 2010. Artists and staffs participating in the '동행' concert will donate their talents and all proceeds will be donated to the Korean Leukemia Children's Foundation. 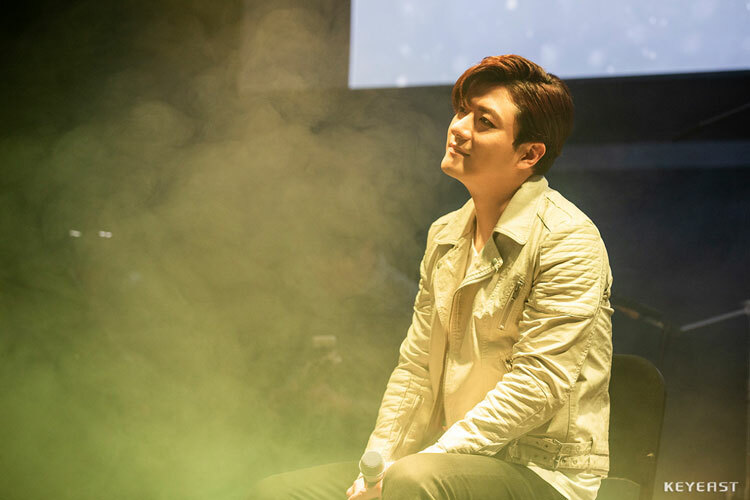 Yoon Hyeong Yeol got a great response by arranging various musical numbers as well as songs, pops and a wide selection of genres according to his band performances. Yoon Hyeong Yeol showed his unique charm with his richness and beautiful tone, especially his works 'Fortune favors the brave' of musical 'AIDA' and 'Defying gravity' of musical 'WICKED' . In addition to the movie 'The Greatest Showman' OST, 'A Star Is Born' OST, as well as Lee Moon sae's 'An Old Love', K. will's 'Beautiful Moment' It captivated the audience with a full set list. Not only that, Yoon Hyeong Yeol has created an audience and fantasy chemistry with sensible gestures and stage manners that could not be seen on the musical stage. In addition, I was able to confirm that it was a long-time play with a lot of publicity, including a making video featuring the process of preparing '동행' concerts, and an application song lottery lead-up video in advance. Special guests also attended the concert on the 30th. Lee Choong Joo, who is currently appearing in the musical "King Arthur", attended the event. Lee Choong Joo became the second '동행' concert guest for the second time in 2015, making the meaning and meaning of the concert '동행' more brilliant. On the 31st, Yoon Hyeong Yeol prepared a guerrilla event for the audience who accompanied the concert. I have prepared 200 cups of coffee and I am grateful to the audience who found the venue in the cold weather. As such, Yoon Hyeong Yeol successfully concluded the fifth '동행' concert based on its high-density composition and communication with audiences. 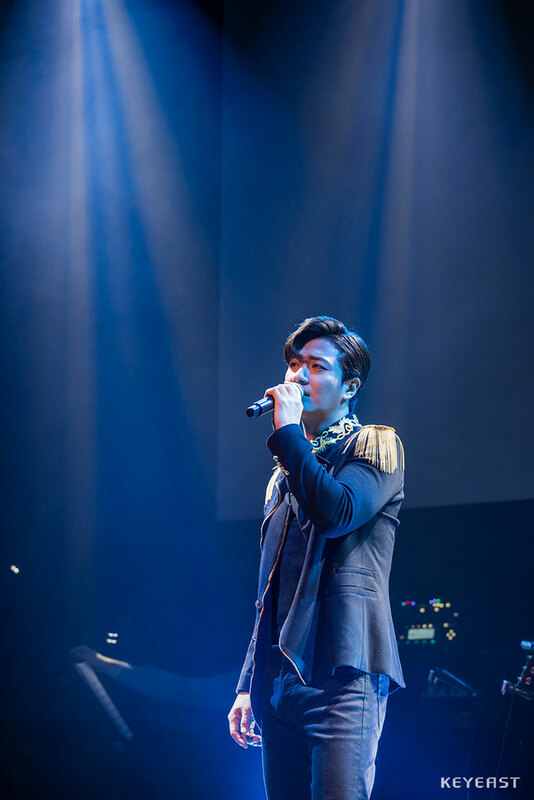 The '동행' concert, which all artists, staff, and audiences gathered, has become a new form of talent donation, and the voice of support for the continued interest and activities continues. On the other hand, Yoon Hyeong Yeol, who has been working on the stage with musicals 'Notre Dame de Paris' and 'BARNUM: The Greatest Showman', is carefully considering his next work. Kang Ho Dong played as an ace of 'Greate Scape2'. In the TVN 'Greate Scape 2' broadcast on the 31st, Kang Ho Dong was drawn to join forces with Kim Jong Min, who was detained in the mansion, to save P.O. On this day, Kang Ho Dong took the initiative in front of other people and played an active role in observing and observing the 'escape bomber'. Kang Ho Dong showed his ability to solve the situation calmly, such as crossing a fence leading into a mansion, discovering a security laser, and inducing a change of idea. In addition, he crawled on the floor to avoid security lasers, and drove the garden with gestures like sea elephants. After lapping the puppy in front of the front door, Kang Ho Dong made the puppy gentle with a snack to amaze everyone. After experiencing the puppy as an old puppy, the puppy was handled, and the first button of success was taken to lightly loosen the collar and infiltrate into the mansion. In addition, Kang Ho Dong noticed that the wall clock of the big mansion was out of time, wondered if it was strange, and took off his watch with his members. Given the clues that somewhere in the mansion, a new drug to treat a new virus called RES would be hidden, Kang Ho Dong was questioned, "Is there a second floor?" And the door mirror is called the "touch screen" I noticed first. Soon after, Kang Ho Dong found fingerprints on the mirror and found the doorway on the second floor, fulfilling his role as an escape bomber. 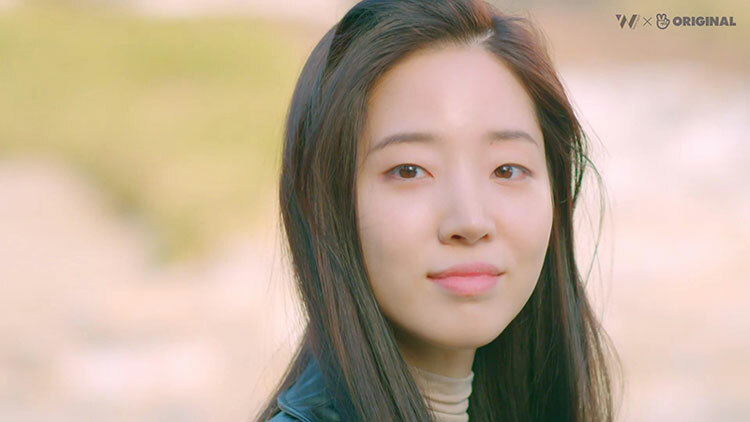 As such, Kang Ho Dong has played a key role in releasing new episodes with her observations and precise feelings, and played a central role in the program, encouraging everyone's morale even when members did not find out much. It is noteworthy that the team will be able to escape safely from the mansion by joining forces with the members. Meanwhile, tvN 'Greate Scape 2' starring Kang Ho Dong is broadcast every Sunday at 10:40 pm. "Every moment was a glory"
I left a strong presence with a character like a chameleon. Actor Jang Yoo Sang left a strong presence in the audience with his charm like a chameleon. JTBC 'Legal High' ahead of the 30-day event is a 100% odd-numbered monster lawyer Ko Tae-rim (Jin-Goo) and 100% justice lawyer Seo Jae-in (Seo Eun-soo) , And it has brought excitement to viewers. Jang Yoo Sang, who played the role of 'Kim Yi-soo' in the drama, showed the final script verification shot and the final testimonial video through the official Instagram of SM C & C, his affiliated company, with the end of the drama. In the video, Jang Yoo Sang said, "Good morning. I am Jang Yoo Sang, who plays the role of 'Yi-soo' in Ko Tae-rim's law office in the drama 'Legal High', "and greeted viewers who loved drama. "It's been a while since we first started shooting, but we are already in the final shoot. I feel sorry. Thank you to the director who invited me to such a good work, and the actors who had a lot of hardships were so troubled that it was too hard for me. " In addition, Jang Yoo Sang expressed his gratitude to Lee Soon Jae and Jin-Goo for breathing together. "I was really honored to be able to work with Lee Soon Jae, especially. It was a meaningful time because we could play together. And Jin-Goo Senior is there, so I seem to be able to adapt and play well. Thank you, I love you, "he shyly expressed his sincere heart toward his actors. "I will now finish my 'Legal High' and prepare to work with a better work. I look forward to seeing you in the future. I'll do my best. Fighting, "and did not forget the expectation of future activities. Jang Yoo Sang plays Kim Yi-soo as an information source of Ko Tae-rim's law office and gives a unique broome chemistry to Jin-Goo and Lee Soon Jae. I was. He transformed himself into various characters for information gathering. He presented his sights with his exalted "camouflage." 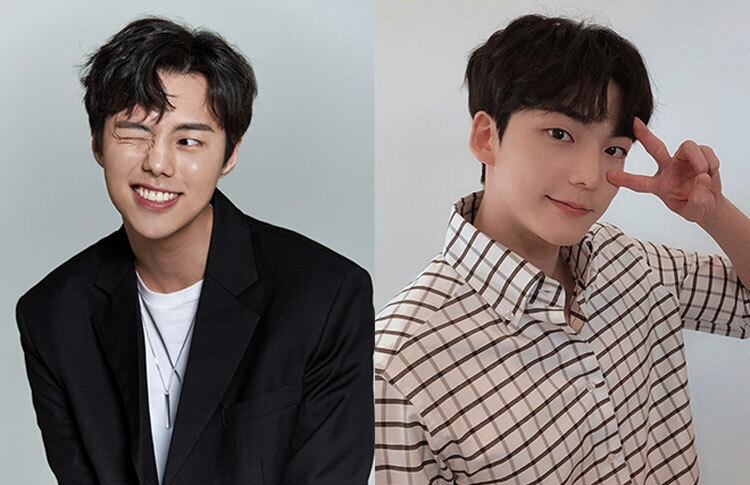 He made his presence known to viewers with his charm like Charmaine, by reviving characters with his acting skills accumulated through various works. .
Model and actor Moon Ju Yeon's web drama '프레쉬맨' has finally been released. The web drama '프레쉬맨' is a comedy about a young college student who is inexperienced in the background of '프레쉬맨'. Moon Ju Yeon comes out as Lee Jin Ah, the president of the play club '프레쉬맨' in the web drama '프레쉬맨'. Although he plays a part in the sinking of the '프레쉬맨' club by making a dirty play, he has a big aspiration to succeed 프레쉬맨. Moon Ju Yeon has become a hot topic in tvN '비밀의 정원'. She has made her appearance on many music videos such as 'Only You' of Impact, 'Curious' of CLAZZIQUAI PROJECT and '1 of 1' of SHINee. He has been active in various pictorials and advertisements. '프레쉬맨', which will be developed as a total of 12 stories, will be available on YouTube and Facebook '콬TV' channels a week after being premiere on NAVER V LIVE '콬TV' channel from 23rd. Hwang Se On is a hot model, starring in the '호구의 연애', a real romance variety that travels with five suitors and finds excitement about each other. Hwang Se On, which has a favorable proclamation and overwhelming visual appeal, is a member of ESteem. She is not only a fashion show, advertising activity, but also an ex-girlfriend of hero Lee Jong-seok I played. Hwang Se On is born in New Zealand and has been expanding its activities in Korea after living in Korea for a long time. Pleasant romance club '호구의 연애' is broadcasted at MBC every Sunday at 9:05 pm. SHINee MINHO, hot greetings with fans! Seoul Angkor fan meeting successful! 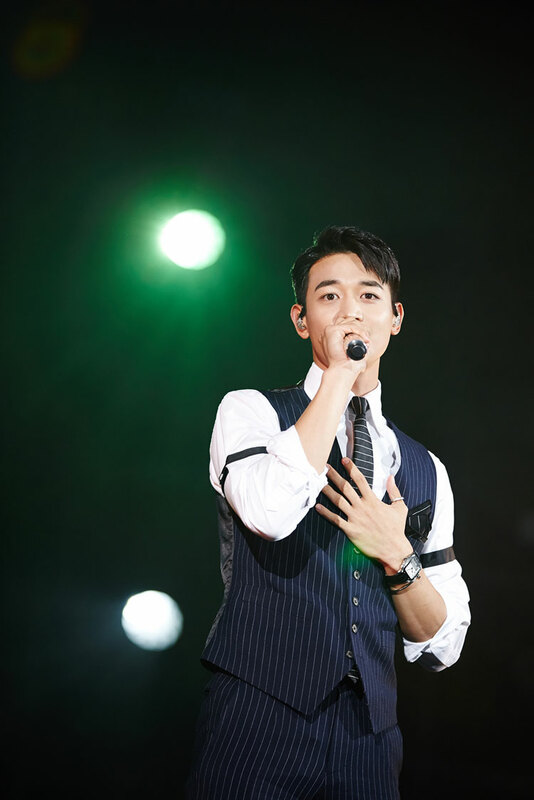 SHINee MINHO (SM) successfully completed the Seoul Encore Fan Meeting. 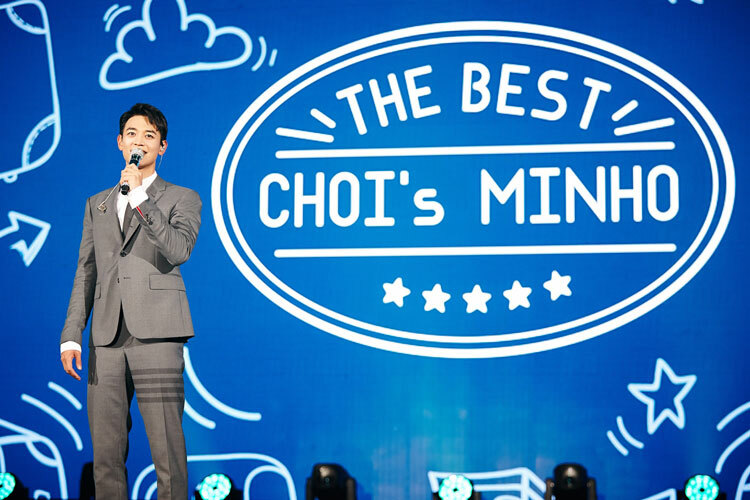 MINHO held a "CHOI MINHO FANMEETING TOUR ENCORE <The Best CHOI's MINHO>" twice on the 30th for a total of 30 days. In particular, this fan meeting is a concert that will be held on February 15th and will be held in Tokyo, Bangkok and Taipei. It will be the venue of MINHO's first solo Asian fan meeting tour, , Adding more meaning. MINHO first released Maroon 5's 'Sunday Morning' sweetly and released the solo track 'I'm Home'. KEY's first full-length album 'One of Those Nights' and TAEMIN's regular 2nd album The performance of the song "Move", including members' hit song cover stage and SHINee's hit song Medley, led to explosive cheering of fans. In addition, MINHO was able to communicate with audiences through a variety of programs such as talking, drama, and movie marble games, where participants were able to listen to only part of the ambassador, . After finishing the fan meeting, MINHO said, "I am very happy and thank you today for your memories. It seems to be an unforgettable moment, and I hope that it will be an unforgettable moment for you. 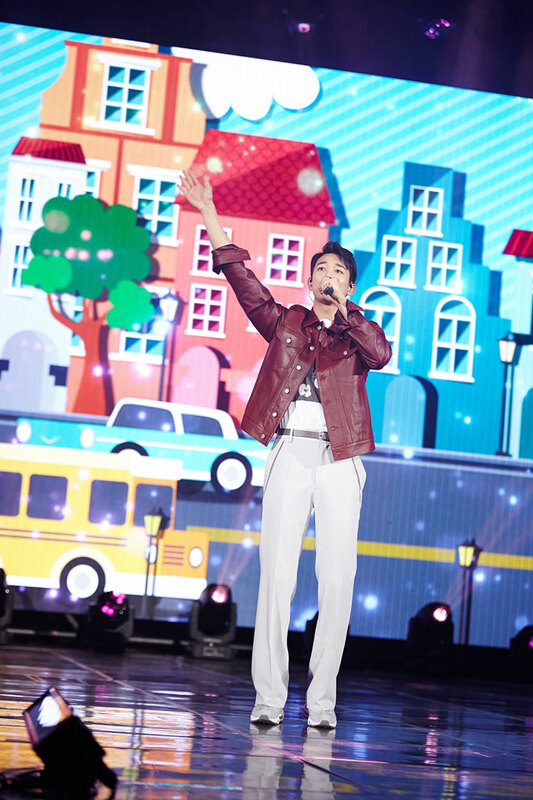 MINHO impressed with a placard with the phrase 'I'm HOME with MINHO ♥' and '늘 그 자리에서 기다릴게' with a surprise event called 'Beautiful' and 'Honesty' together. On the other hand, MINHO who has been active in various fields such as acting, acting, as well as singing activity, is expecting to show a new look to the audience in the role of Choi Sung Pil in the movie '장사리 9.15' to be released in the second half of this year. EXO CHEN, 'Beautiful goodbye' MV March 31, 12 o'clock at night! CHEN Spring Sonata to meet in advance with video! Spring is the most popular song pre-notice! 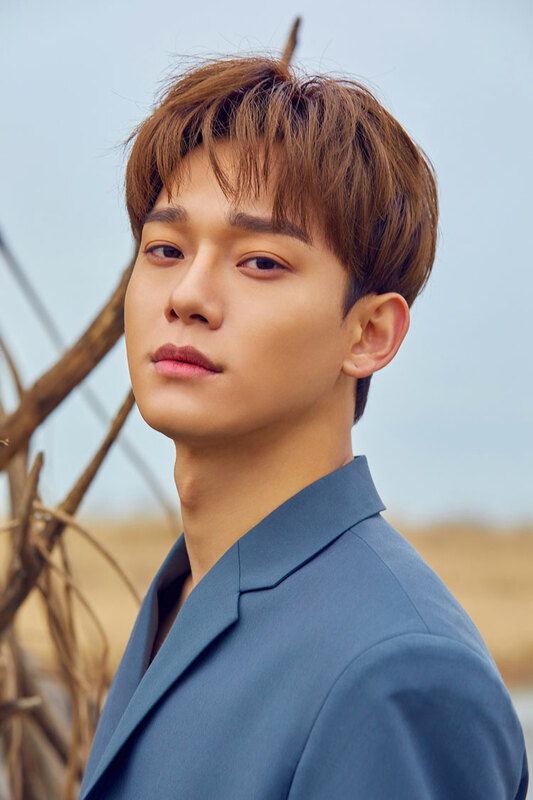 EXO CHEN (SM) will premiere the music video "Beautiful goodbye" on March 31 prior to the release of the first solo album. CHEN will release its first mini-album title song 'Beautiful goodbye' music video on March 31 at 12:00 pm official website, YouTube, and NAVER TV SMTOWN channel. 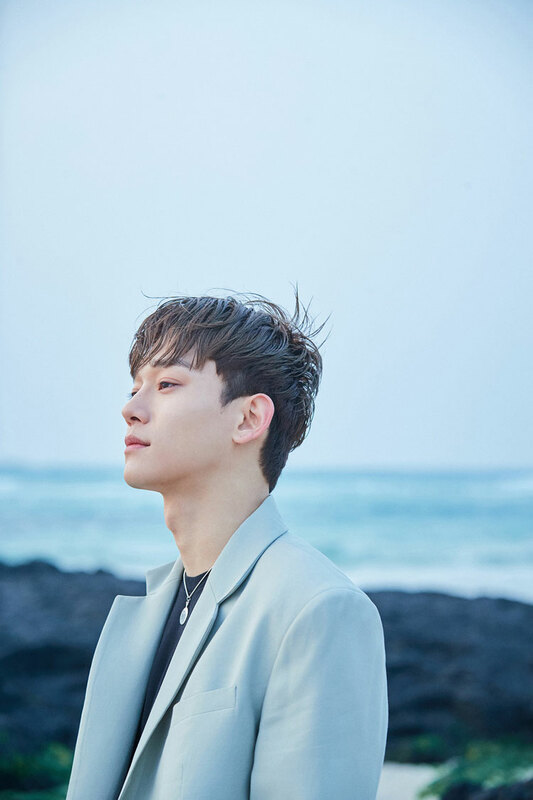 Especially, this music video was released on the 29th, and the teaser video of the atmosphere was soothing and anticipating the new song, and the scene of the CHEN singing along with the delicate piano performance can be seen. It is expected to catch. In addition, CHEN held 'CHEN's APRIL BUSKING' at 7pm on April 1st to commemorate the release of the first solo album, and the new song live will be unveiled for the first time. The performance will be a surprise event without prior notice of the place. Channels and EXO channels, it is expected to gain a high level of attention. EXO CHEN, 'Beautiful goodbye' MV teaser video topic! Focusing on the faint atmosphere, focus on the eyes! Expect the best spring love! 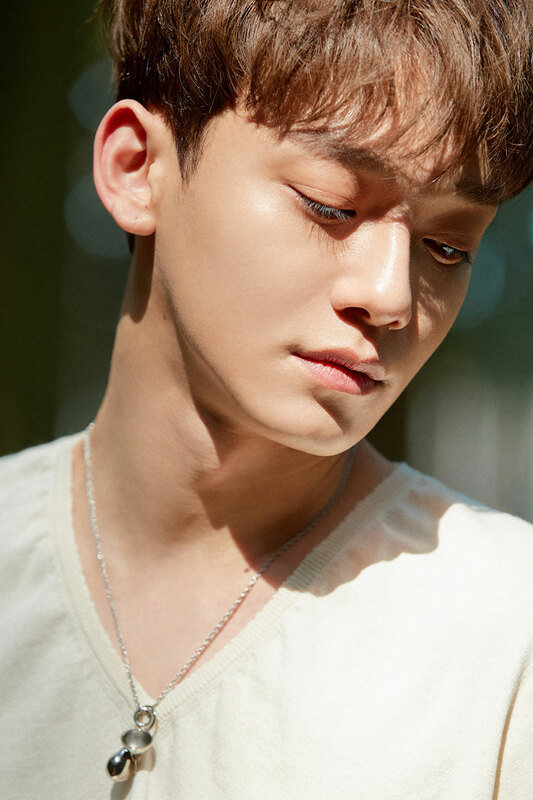 EXO CHEN (SM) solo debut song 'Beautiful goodbye' music video teaser image is open to the public. CHEN's first mini album titled 'Beautiful goodbye', a music video teaser video that was released on the official website, YouTube, and NAVER TV SMTOWN channel on 29th, is an attractive video that captures the faint ambience of the new song. . The title song "Beautiful goodbye", which is the best spring song, is a ballad song that shows off a delicate piano performance. It contains a remembrance of the first meeting of a man preparing for a breakup with a lover. As well as attracting global music fans. In addition, CHEN's first mini-album 'April, and a flower' will be released on April 1 at 6 pm on various music sites such as Melon, FLO, Genie, iTunes, Apple Music, Sporty Pie, QQ Music, KUGOU Music, The soundtrack is open to the public, and there are six ballads of various charm, and it is enough to enjoy CHEN's sweet vocals and warm music sensibility. Model Ko Min Sung X Broadcaster Jung Jay, their double life? Model Ko Min Sung and Broadcaster Jung Jay will be appearing in the new entertainment program '탐나는 그녀들의 사생활', which will be broadcasted on the Lifetime channel from March 30th. Lifetime Channel The self-produced entertainment program '탐나는 그녀들의 사생활' is an obsession that captures the daily life of famous influenza writers with millions of followers. Ko Min Sung and Jung Jay are both businessmen and broadcasters who run their own businesses, and will show off the curiosity of viewers about their everyday lives by revealing their sometimes gorgeous and ordinary personal lives. '탐나는 그녀들의 사생활' will be broadcasted on the Lifetime Channel at 10:50 am tonight on March 30 and meet viewers every Saturday. Lifetime channels can be viewed on KT olleh TV 78, SK Btv 89, LG U + TV 83, and Skylife 86. (Cables can be viewed through OTT services such as TVING, EVERYON TV, SK oksusu and LG uplus LTE video portal). SHINee MINHO, first solo song 'I'm Home' topping the iTunes Singles Charts of 10 regions! SHINee MINHO (SM)'s first solo song 'I'm Home' is gaining global popularity. MINHO's first solo album "I'm Home" released on the 28th was released in the iTunes Singles Single Chart in 10 regions around the world including UAE, Saudi Arabia, Chile, Peru, El Salvador, Singapore, Thailand, Philippines, Dominican Republic and Sri Lanka It was the number one spot in the group, which made global music fans realize their enthusiasm. 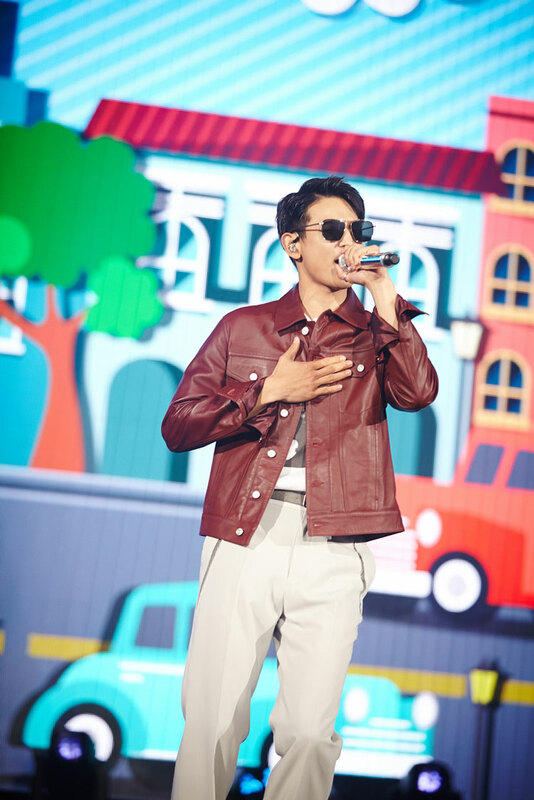 SM 'STATION' MINHO's 'I'm Home' was released as the ninth song of Season 3, and it is the song of the R & B hip hop genre which is impressive with an intro whistling sound of desperation, and the empty and lonely heart MINHO also participated in rap making and added charm. 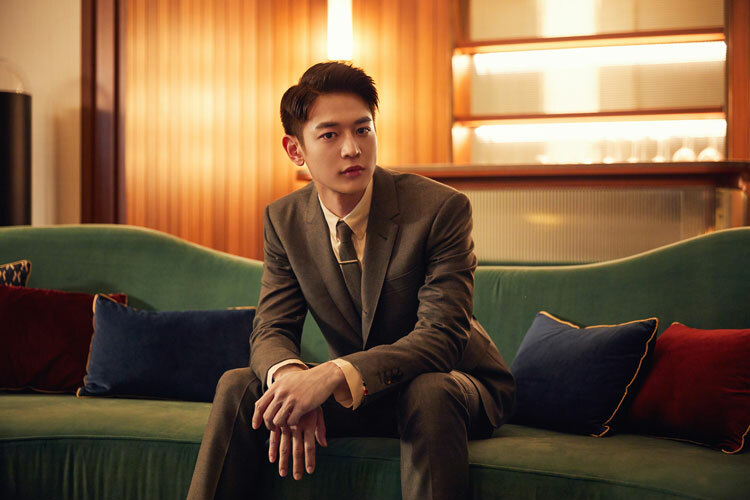 Also, MINHO is holding an Angkor fan meeting 'The Best CHOI's MINHO' on March 30 and is going to release the first stage of 'I'm Home'.